Rabbi Yosef Berger cites a 1,000-year-old collection of teachings from Elijah the Prophet as well as proclamations from hidden righteous men in Jerusalem to reveal how the redemption was brought in Egypt and how that can be replayed next week during the Passover holiday. The rabbi cited a verse in Micha to illustrate his point. “But this year, all of the hidden tzaddikim say this is especially true,” Berger maintained. The rabbi cited Tanna D’Bei Eliyahu, a collection of teachings first published in the tenth century. The introduction of the book describes how a Rabbi Anan fasted and prayed to merit having Elijah the prophet appear before him. Elijah finally appeared, personally teaching Rabbi Anan every night. One night, Elijah stopped coming and Rabbi Anan prayed to know why. Elijah again appeared and explained that Rabbi Anan had changed his front gate and made it more difficult for beggars to approach his house for charity. Rabbi Berger described how God commanded the Children of Israel to ask the Egyptians for gold and silver. Rabbi Berger emphasized that Jews learn about the Exodus every year as a reminder that once, we were slaves in Egypt who had nothing. Rabbi Berger gave as an example Karmey Chesed, an intimate Israel-based organization that runs a wide variety of grassroots charity programs. 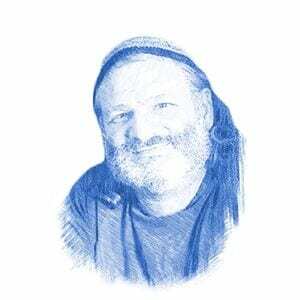 Aryeh Weingarten, who runs the charity, emphasized that it is the intent, the desire to connect in a positive manner implicit in charity, that changes the lives of the recipients. He gave a powerful example. Weingarten visits the man frequently who joined the prayer group that meets in Weingarten’s home. In addition to money, Karmey Chesed provided the family with new furniture and appliances. Karmey Chesed’s Green Charity program collects old appliances and furniture from those who are remodeling or upgrading and delivers them at no charge to those less fortunate. Instead of filling landfills and polluting waterways, these discarded items become a lifeline for needy families. Its programs include the Green Charity Program, Home Utilities Program, Food Distribution, Aid for IDF soldiers, Relief for Gush Katif Expellees, and an Emergency Housing Program, along with a full staff of volunteers and professional social workers and psychiatrists. Readers can take part in Karmey Chesed’s efforts to help families for the Passover holiday by donating on their website.